Hemsley Hemsley are #srsbizness. The brunette babes first began their food journey in 2010, aiming to create recipes packed with superfoods to help the body function at its best without compromising on taste. Their book The Art of Eating Well has been pretty much glued to my kitchen counter recently – why wouldn’t you want to make gorgeous tasting (and looking) food, that’s exceptionally good for you and helps you feel amazing? You see where I’m going with this. I’m pretty obsessed with their Beef Ragu recipe at the moment. The method makes an absolute load, and tastes so damn good, I can’t recommend it enough. It’s perfect to make on a #mealprepsunday for a couple of healthy and satisfying weekday lunches (you can say goodbye to your overpriced Pret salad). And can we just talk about the H&H Spiraliser? Literally obsessed. I want to spiralise everything I can get my hands on. 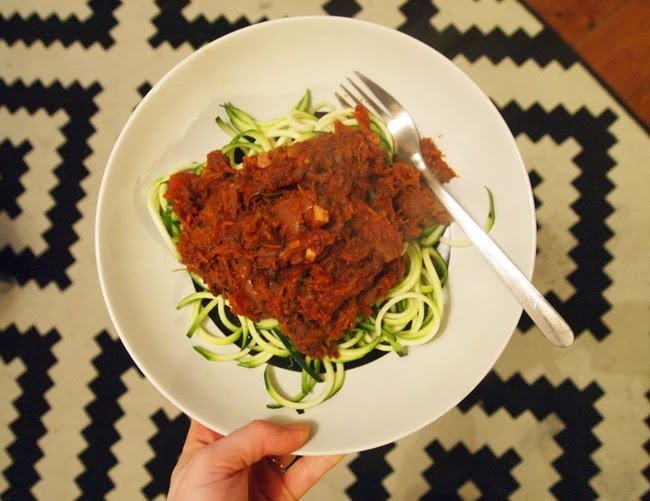 Courgettes, carrots, you name it and I want to turn it into tasty, tasty raw veggie noodles. Yes it’s a little bit gimmicky, but it sure beats the mundaneness of bog standard, chopped veg. For a really quick version of the recipe, head over to Vogue where the girls are regular lifestyle contributors.